Send some photos of the books and we will make a plan that is within your skill set. I send you a list of needed tools and materials that you may already have. 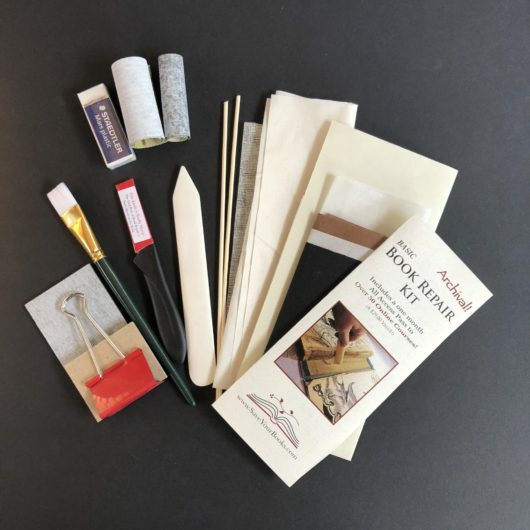 Have you watched some book repair videos and still aren’t sure how to get started? 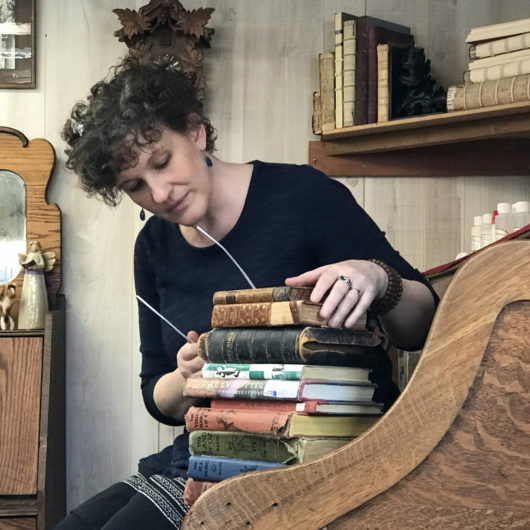 A customized online book repair tutorial may be exactly what you need. Face to face book repair tutorials are tailored to your specific needs. We can do Google Hangouts, Skype or Facetime, whatever works best for you. Showing me your books means that I can give you specific advice as to which products and techniques will work best for your situation. I will also be able to refer you to the specific videos that can help. Book repair is easy in so many ways but the hardest thing can be deciding the best way to proceed. 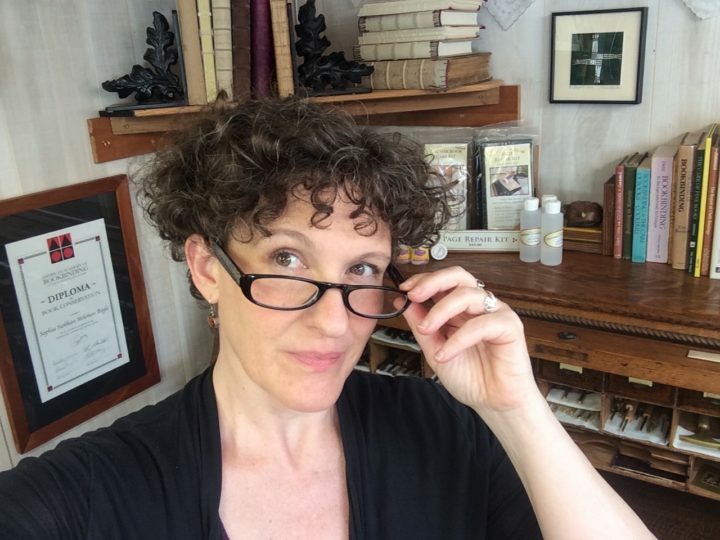 When you purchase a book repair tutorial I am notified and then I will send you an email to set up our time. 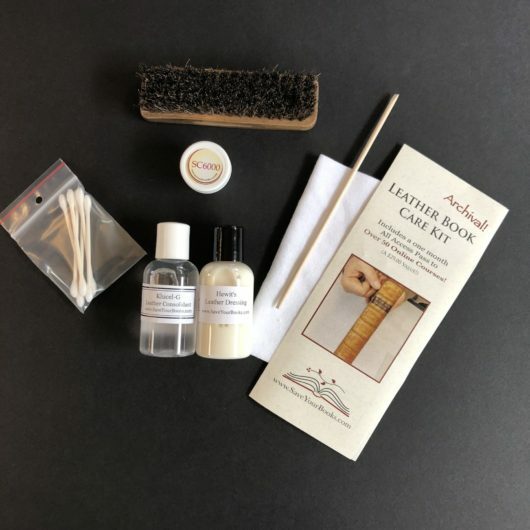 Leather Book Care is easy with this archival kit.